She believes in being proactive and educating consumers on the harmful effects of plastic. What’s the problem with plastic? They are choking our waterways, marine lives, and even our bodies. Each year, around eight million metric tons of plastic ends up in our water bodies creating a problem for marine life and the environment. The problem of plastics is more prominent in bigger cities, and it was the piles of plastic rubbish on street corners that made Rhea Singhal start Ecoware — a sustainable food packaging company. She also addresses the issues related to pollution and health in a sustainable manner. But that is not all. This businesswoman also works for the welfare of Cancer patients. She raised money through various programmes with the help of Cancer support groups, and is now supporting and organising many Cancer awareness events. Her mother suffered from Cancer twice. And Rhea, having worked for a London-based pharmaceutical company that focused on Oncology drugs, already had an understanding of how plastics are harmful to our health and environment. “I found an urgent need to reduce the burden of littered/discarded plastics and at the same time provide safe and healthy food packaging. I looked for biodegradable, disposable products similar to what I used when I lived abroad and realised there was a gap in the market. After much research, we produced a product that is durable and caters to various cuisines,” she says. About how the products are made, she adds, “All our products are made from the waste of common agricultural crops such as sugarcane and wheat. 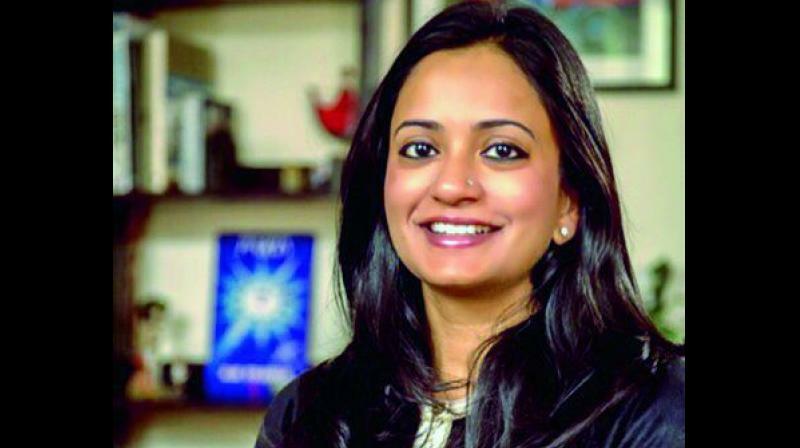 We had set up India’s first manufacturing facility way back in 2010,” says Rhea Singhal, who moved to Delhi from London in 2009. She says she would notice people talking about healthy or fresh food but they would ignore the packaging, and thus she started her company to address the challenges of pollution and health. She started working on this issue much before the idea of plastic bans was adopted in various Indian states. “At the start, we invested a significant amount of time and effort to educate businesses, retailers, and consumers about the harmful effects of plastic, both on health and the environment. We are now bearing the fruit of our efforts,” says Rhea. She tries to provide products that are healthy to eat and are packed in a material that is easy to dispose. “Once the products come in contact with soil, they decompose in 90 days,” she says. The solution she had in mind involved using plant biomass to create disposable tableware, which would be strong, water resistant and aesthetic. “This way, people get the chance to eat safely and not harm the environment — living responsibly,” she adds. Being a mother of two young kids, she is even more driven to make sure that she spreads the message of responsible living and carry on providing solutions that are healthy and safe for the environment and the generations to come. “My company is more than a commodity, we take pride in being responsible manufacturers” she says.